You can now get rid of oil, pimples and dirt by using Stridex Daily Care Acne Pads Maximum Strength. It contain effective skin cleanser that removes dirt and impurities from your skin. 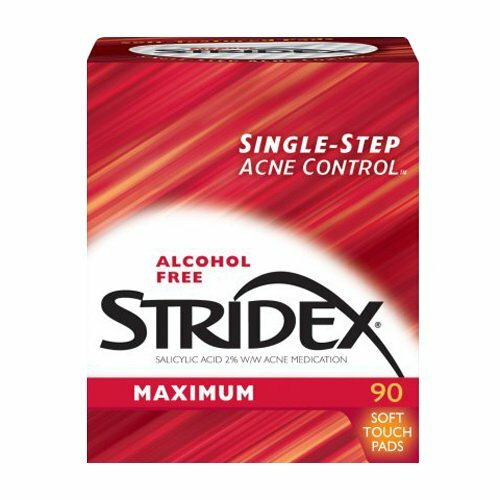 Stridex Daily Care Acne Pads Maximum Strength is alcohol free and prevents pimples. A Closer Look: Consistent use of pads helps to effectively control acne. Get Started: Clean the skin thoroughly before applying the Stridex Daily Care Acne Pads Maximum Strength. Wipe the entire affected area with the pad. Repeat if necessary to remove traces of dirt. Start with one application daily and then gradually increase it to twice or thrice a day as directed by the doctor. Alcohol free pads eliminates major source of irritation and dryness. help prevent new pimples from forming. Treats existing acne and prevents new blemishes. If you have any questions about this product by Stri-Dex, contact us by completing and submitting the form below. If you are looking for a specif part number, please include it with your message.